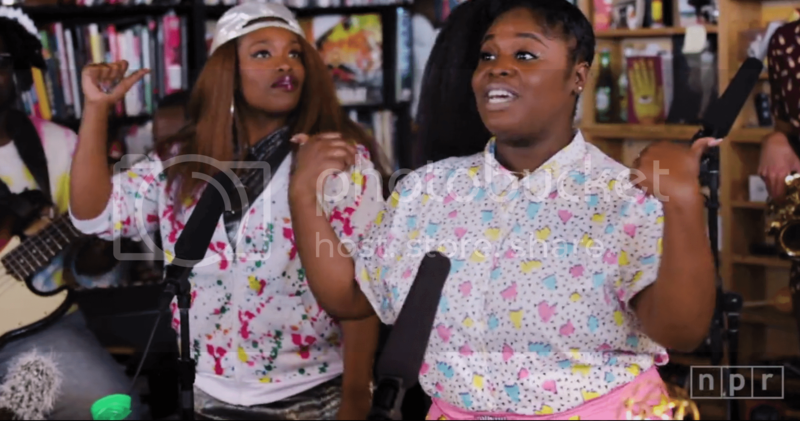 Tank and Bangas won NPR's Tiny Desk Contest and soon went viral with a quirky rendition of "Quick." This week the New Orleans-based group celebrated their win with a full set at NPR's offices in Washington, DC. Led by Tarriona "Tank" Ball and Anjelika "Jelly" Joseph, their performance style is theatrical without bleeding into over-the-top. You'll be drawn in by Tank's personality but stay for the musicality. The three song set includes "Boxes and Squares," "Quick" and "Rollercoasters." Watch below.